A fired Al Jazeera America executive filed a multi-million dollar lawsuit against the channel on Thursday, levying damning allegations about the integrity of its news coverage and the treatment of its employees. Shannon High-Bassalik, AJAM's former senior vice president of programming and documentaries, says in the complaint that she witnessed the channel abandon "journalistic objectivity" in order to "advance a pro-Arabic/Middle Eastern agenda, often at the expense of Jewish people." She alleges that AJAM management invoked the conspiracy theory that the 9/11 terror attack was a CIA plot. Her suit, filed in federal court in Los Angeles, details what she said were blatantly discriminatory practices against women and non-Arab employees. 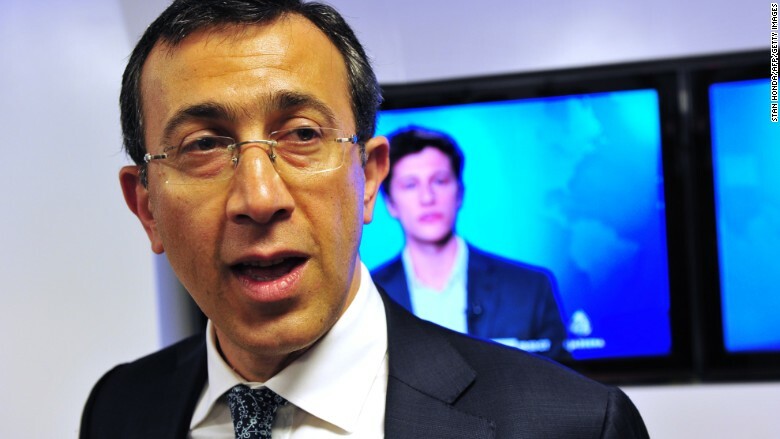 AJAM called High-Bassalik's accusations "unfounded." 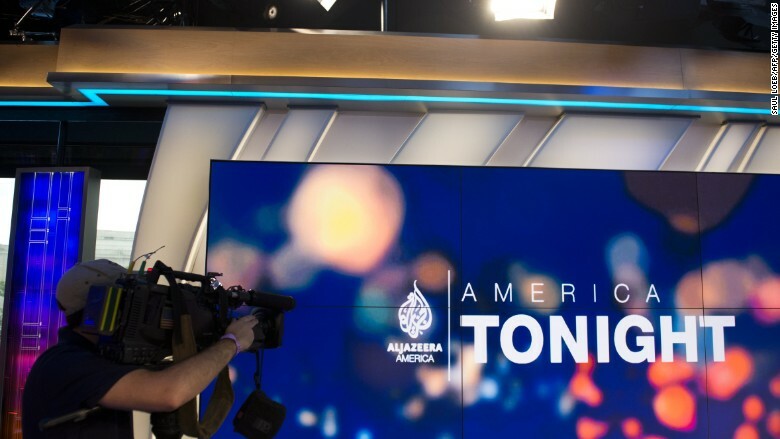 "The allegations made against Al Jazeera America are by a former employee whose conduct and performance went through a full process of investigation led by an external law firm before her employment ended, during which Ms. High-Bassalik made none of the allegations she makes in her complaint," a spokesperson for AJAM said. "Al Jazeera values and respects all of its employees, and has zero tolerance of any form of discrimination," the spokesperson said. The complaint, which echoes a lawsuit filed by another former employee who was dismissed by the company earlier this year, is the latest blow for a channel that has been in turmoil in recent months. Three female executives abruptly left AJAM earlier this year, and the newsroom has been beset by poor morale. One of those executives, former senior vice president of outreach Marcy McGinnis, said that she resigned to escape the "culture of fear" at AJAM. The other two executives, former executive vice president of corporate communications Dawn Bridges and former executive vice president for human resources Diana Lee, resigned "as a direct result of the discriminatory and hostile work environment in place at Al Jazeera," according to High-Bassalik's complaint. AJAM was launched in 2013 after the Qatar-based Al Jazeera Media Network purchased the cable news channel Current TV. According to High-Bassalik, employees at AJAM were informed that the purchase was made for one reason: "to 'bring the Arab/Muslim perspective' to America." The complaint by High-Bassalik, who formerly worked at CNN and NBC News, makes several claims about how that directive manifested itself inside the AJAM newsroom. During last summer's clash between Israel and Hamas in Gaza last summer, High-Bassalik says that AJAM's news and programming department "was explicitly instructed to favor the Middle Eastern point of view and cast Israel as the villain." When producers attempted to show "balanced news reports," High-Bassalik recalls, AJAM management accused them of being "very biased for Israel." High-Bassalik says that AJAM's producers were once told that many Arabs believe that the 9/11 attacks "were actually staged by the CIA to create a false justification for a war against the Arab world following the end of the Cold War." "This outrageous and patently offensive statement was held out as an example of the kind of viewpoint that Al Jazeera should keep in mind as it decided on the tone and content of its reporting," High-Bassalik's complaint said. High-Bassalik says she repeatedly objected to the editorial interference, telling supervisors that the channel was "actively advocating a discriminatory attitude towards people who were not Middle Eastern and/or Arabic." Her complaint on Thursday was filed against AJAM and Ehab Al Shihabi, the former CEO who stepped down last month amid widening turmoil inside the channel's newsroom. High-Bassalik is suing to redress what she alleges was unlawful discrimination, a hostile work environment and retaliation during her employment at AJAM. Douglas Wigdor, one of the attorneys representing High-Bassalik, didn't specify the amount of money being sought in the suit. "We will be seeking millions of dollars to compensate our client for the blatant breach of her contract and discrimination she suffered," Wigdor told CNNMoney. According to High-Bassalik, Al Shihabi admitted that he pushed for the channel to embrace a pro-Arabic viewpoint because he believed it would "please Doha," a reference to the Qatari capital that serves as the home to Al Jazeera Media Network. High-Bassalik claims that when she and others complained about these orders, arguing that AJAM's cable contracts in the United States required the channel to remain neutral, Al Shihabi raised his voice and said that anyone who objected would no longer be welcome at the company. He responded to such objections by saying that the company "was not Al Jazeera America but 'Al Jazeera in America,'" according to the complaint. High-Bassalik's complaint includes many of the same allegations in the lawsuit filed against AJAM earlier this year by Matthew Luke, the channel's former director of media and archive management who was also fired in February. Like Luke, High-Bassalik claims that sexism and anti-Semitism were pervasive in the newsroom. The complaint by High-Bassalik describes the manner in which Al Shihabi allegedly discriminated against female employees. High-Bassalik says that Al Shihabi "repeatedly diminished the responsibilities" of women at the company. She claims that Al Shihabi frequently excluded female employees from important meetings, and at times would "leave meetings where female employees were giving presentations and [state] that he would only return when such employees had stopped speaking." When female employees complained, Al Shihabi would publicly yell at them, according to the complaint. High-Bassalik says Al Shihabi treated such complaints as if those female employees "were simply being emotional... asking them why they 'didn't love me anymore.'" After raising a series of complaints about this alleged editorial interference and employment discrimination, High-Bassalik says she was suspended in December pending an investigation and that the company refused to tell her what the investigation was about. High-Bassalik says that the company informed her in February that her job had been terminated because she was "purportedly in default" of her contract because "she ostensibly was an ineffective leader and did not get along with other employees." The attorney Wigdor said his client "should be commended for coming forward and bringing to light yet again the extremist attitudes that permeate a news organization that attempts to take itself seriously."